AFC Bournemouth were the only change in divisional leadership after results on Sunday 27 January and that in an incredibly tight Southern League Premier title race. 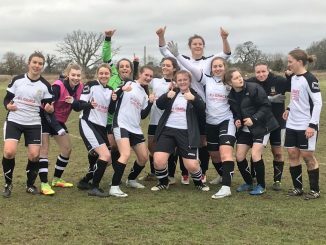 PREMIER – Cambridge City edged Colney Heath 3-2 to go three points clear, as Acle United were beaten at home by a goal from Wymondham Town’s Bethany Fretwell. Royston Town in third beat Brentwood Town by the odd goal in five and Harlow Town sank Haringey Borough 7-0. ONE – Bowers & Pitsea held top spot with a 2-1 victory at Hoddesdon Town Owls and St Ives Town stayed within a point of them but by only a single Georgia Stancombe goal at Hatfield Peverel where visitors substitute Elle Jefferson was sent off. Newmarket Town hit Histon 5-0 to go third as Annabel Cuthbert struck a hat-trick. Hertford Town’s first win came 4-1 against Bishops Stortford whom they went above on goal-difference. PREMIER – Mansfield Town are seventh after a 2-0 result against Kettering Town, Zoe Meynick and Bethany Wilcockson the scorers. LEAGUE CUP Q-F – Hykeham Town came from behind to win 3-2 at top flight strugglers Eastwood, where Courtney Limb clinched it in extra time. 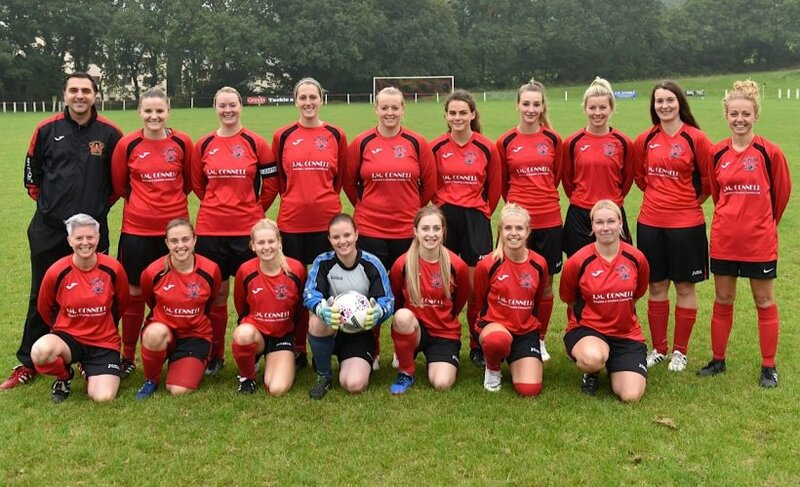 Katie Mayfield levelled on 88 minutes to avoid a shock defeat for Woodlands at Lincoln Moorlands-Railway, Chloe Scott and Jody Scott on target in the added half hour for a 3-1 scoreline. Oughtibridge WMSC went through by two goals to one at Ollerton Town. LEAGUE PLATE Q-F – There were clear wins for Boston United and Notts County, 6-0 over Corby Town and 7-2 against Retford United respectively, while Calverton Miners Welfare were awarded the tie with Arnold Town. PREMIER – QPR Girls Development were on their way to top spot when 3-1 up at London Kent Football United at the midway point but the home side hit back in style to register a 6-3 result, Adele Keech and sub Emily Hart with two goals each. Aylesford pipped Parkwood Rangers 2-1 in the basement battle, Lauren Brown and Bethany Hulme hitting the target for the hosts. 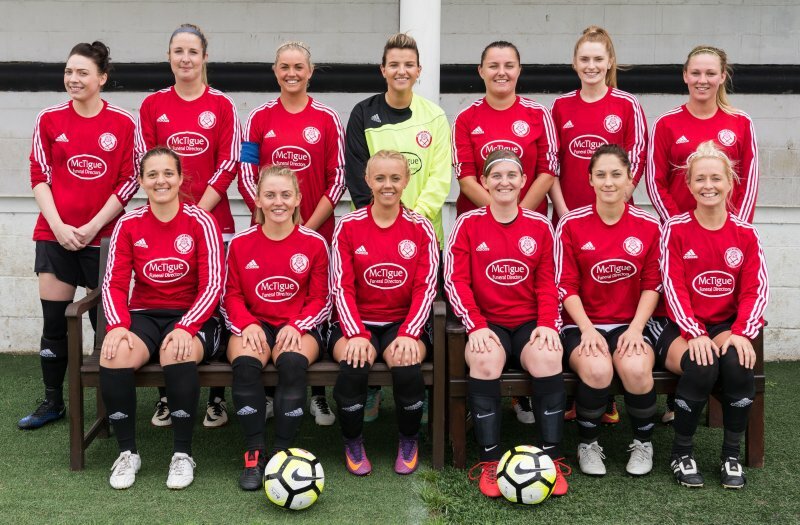 GREATER LONDON PREMIER – New London Lionesses are up to third and just a point behind Hackney after defeating them 2-0.Sarah Nicholson got a couple as Colne Valley went down 3-1 at home to Victoire. SOUTH EAST COUNTIES PREMIER – Leaders Crawley Wasps Reserves were 3-1 winners over Phoenix Sports with the help of a Jade Simmons brace, second-placed Saltdean United’s 2-0 victory at Eastbourne LFC was down to subs Lauren Amerena and Olivia Walker, while Worthing went up two places to fifth when Samanntha-Jade Mee got three of their five goals against Bexhill United. 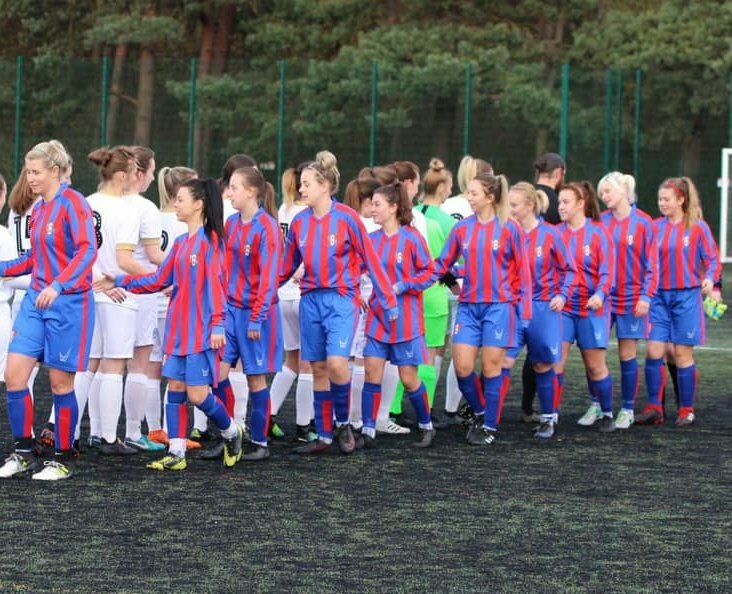 PREMIER – Durham Cestria are looking unstoppable, hitting hosts York City for six to record a thirteenth straight win and with four goals by substitutes including a couple from Chloe Ryan. Second-placed South Shields notched the only goal at Harrogate Town, Hartlepool United won 4-2 at Wallsend BC with the aid of a Caitlin Bates brace, while Farsley Celtic took the points 4-1 at Rotherham United. 1 NORTH – Redcar Town went six points clear when maintaining their 100% record with a narrow 3-2 success at Norton & Stockton Ancients Reserves, where Kenzie Parkes struck twice. 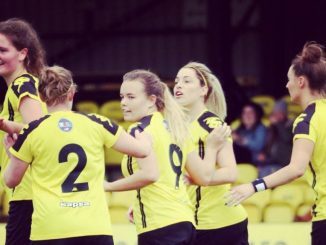 Courtney Clark scored half of Washington’s six goals past Prudhoe Town, Larissa Burkinshaw’s third-minute goal proved enough for Boro Rangers to beat Chester le Street Town St.Cuthberts. 1 SOUTH – Champions Ossett United dropped points for the first time when beaten 2-1 at home by Altofts, for whom Emma Richardson and Rachael Murrell got on the score-sheet. Sheffield Wednesday had a walkover against Barnsley Development. PREMIER – Tranmere Rovers held top spot with a 3-1 win over third-placed Wigan Athletic but Stockport County kept up the pressure from their faultless form with a 6-1 defeat of Accrington. 1 NORTH – Blackpool sank hosts Leigh RMI 7-0 to extend their lead into double figures, with nearest rivals Carlisle United having to settle for a 1-1 draw at home to Bury. That was also the outcome as bottom team Burscough Dynamo played Penwortham Town. 1 SOUTH – The top two both won; Liverpool Feds Reserves 3-2 over Curzon Ashton and West Didsbury & Chorlton 3-0 against Wythenshawe Amateurs, while Stockport County Blues leapfrogged Chester into sixth by edging them 3-2. 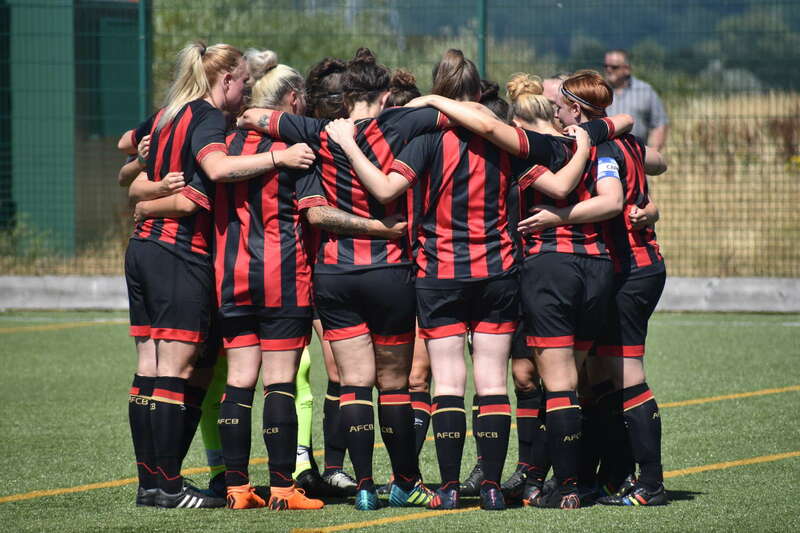 PREMIER – AFC Bournemouth’s 11-0 thrashing of New Milton Town featured trebles for Maisy Smith and Chloe Tape, as the Cherries went top on goal-difference. Southampton FC Women also edged above non-playing Oxford City with a 4-1 result at Ascot United where Chloe Newton got a couple. Woodley United were 2-0 winners at Winchester City Flyers and Warsash Wasps came from a goal down to bank their first points 4-2 at Newbury. ONE – Wycombe Wanderers went six points clear with ten goals past Shanklin, of which three were by Tara Ashley Woodward. 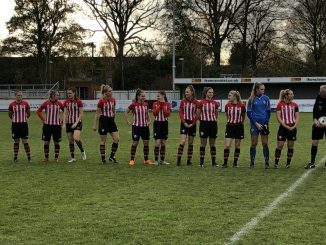 There was a hat-trick for Charlotte Webb as Southampton WFC Development won 4-0 against Wargrave, Eatleigh got all three goals at Wokingham & Emmbrook, Alton beat Basingstoke Town 2-0. 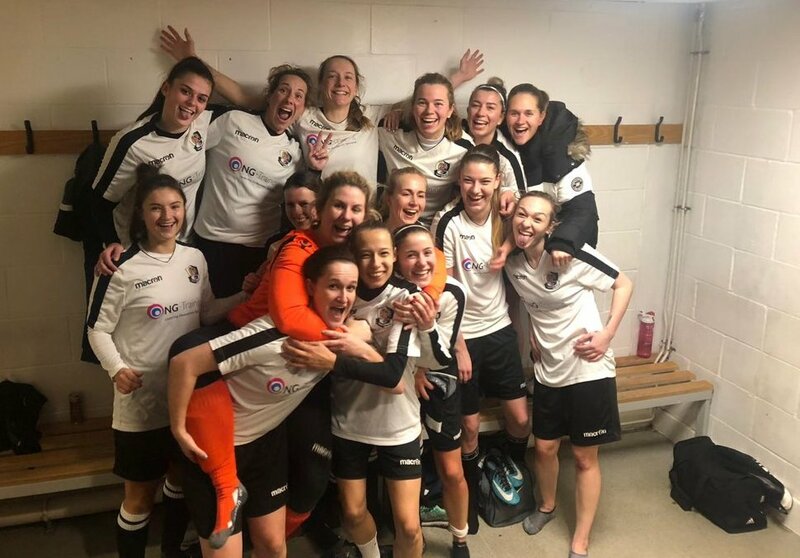 PREMIER – Callington Town are up to fourth after pulling off a 3-2 success at top team Keynsham Town Development, allowing Exeter City to go within a point of the leaders with a 5-1 result over Middlezoy in which Sophie Gillies got four. Ilminster Town had a similar score at Forest Green Rovers with Charlotte Johnson scoring twice, while Torquay United tied 2-2 with Portishead. 1 EASTERN – Wootton Bassett Town have a five-point advantage at the top following a 2-0 win against Trowbridge Town, sub Hayley Huckin sealing the points. Almondsbury took the mid-table slot from Swindon Spitfires whom they hit 5-1 away, Laverstock & Ford netted four against FC Chippenham. 1 WESTERN – Plympton are pursuing second-placed Bideford against whom they came from two goals down to win 3-2 with Samantha Metters netting all their goals. Weston Mendip were 4-0 winners over Weston Super Mare with two from sub Emily Harrington, Pen Mill’s 4-1 result over Exeter & Tedburn Rangers included an Alisha Barker brace. PREMIER – Sutton Coldfield Town opened up a four-point lead when netting nine against Worcester United, as Coundon Court slipped to a 3-1 reverse at Redditch United and Leafield Athletic drew 2-2 with Crusaders. Elsewhere, Coventry Sphinx won at Lye Town by three goals to one. 1 NORTH – The only game was a seven-goal thriller as Sandwell came through 4-3 at Florence. 1 SOUTH – Kidderminster Harriers sent leaders Sedgley & Gornal United to a 2-0 defeat, Rugby Town ran in seven goals at Coventry City.